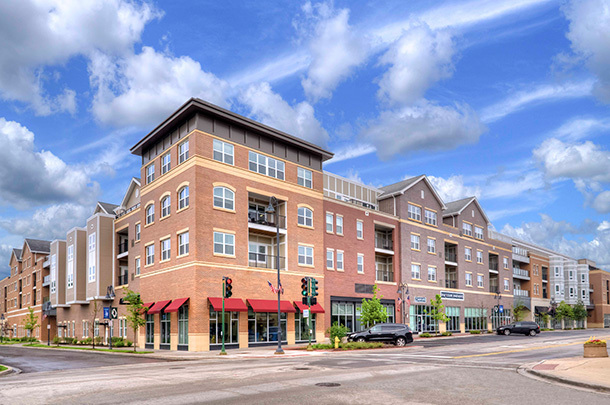 Midtown Square offers a new kind of luxury, transit-oriented product to a prominent intersection in downtown Glenview, Illinois. 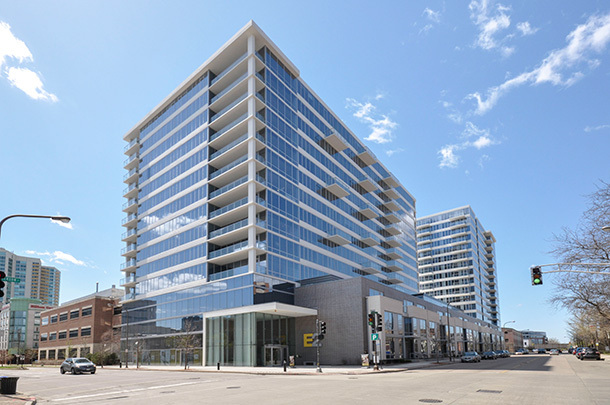 Developed in response to competing shopping districts in the area, the mixed-use site was seen by officials to be a catalyst for rejuvenation of their aging downtown. 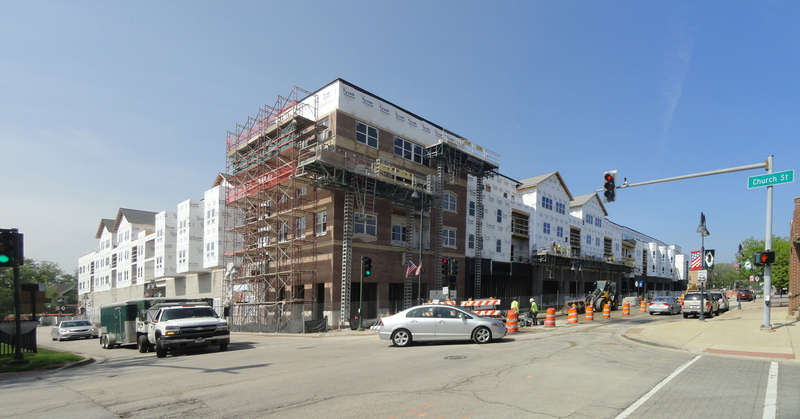 When it began, the development was the largest undertaken in the community in a decade and came just as the Village adopted a new form-based code. 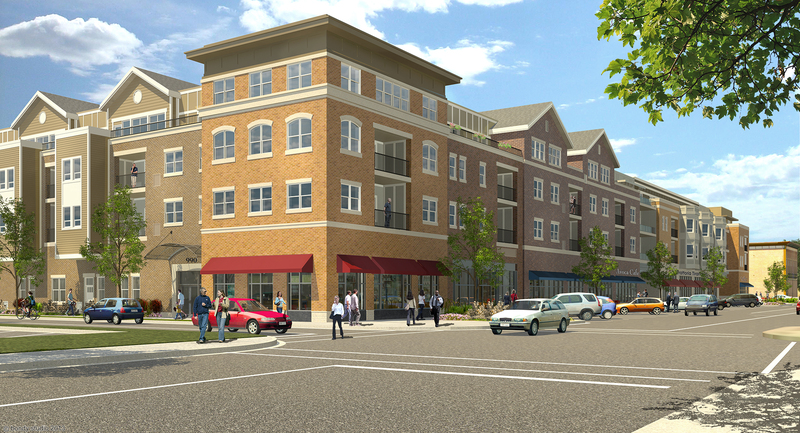 Because of this, a significant effort was required to shepherd the project through separate Plan Commission, Appearance Commission, and Village Board approvals and evolve the design to reflect feedback and new code guidelines. 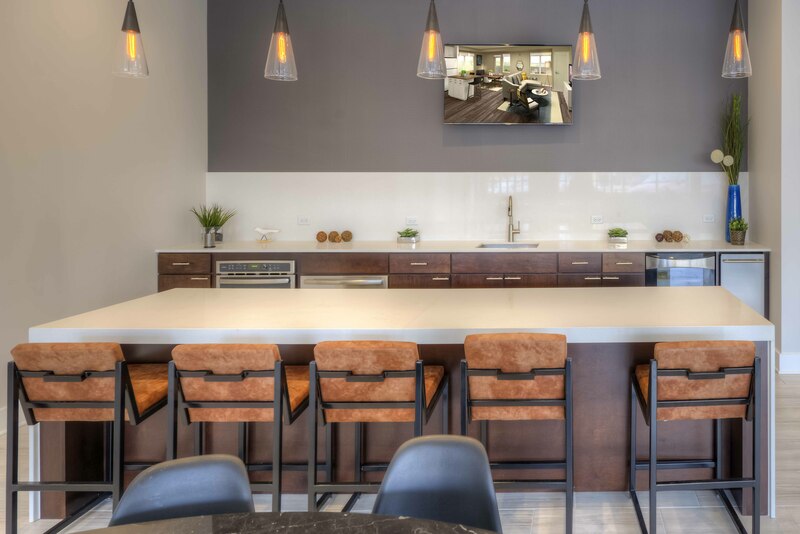 Located near commuter rail, walkability and pedestrian safety is a key design factor, while balancing the suburban desire for auto transport for shopping and entertainment travel. Pedestrian way is managed through landscaped paths and raised speed tables, and the project offers streetside parking for retail as well as a surface lot on the interior of the site for shoppers, residents, and guests. The building also contains secure indoor parking exclusively for residents. One of the three retail spaces also includes a drive-through, which is accessed from a drive aisle inside the site. 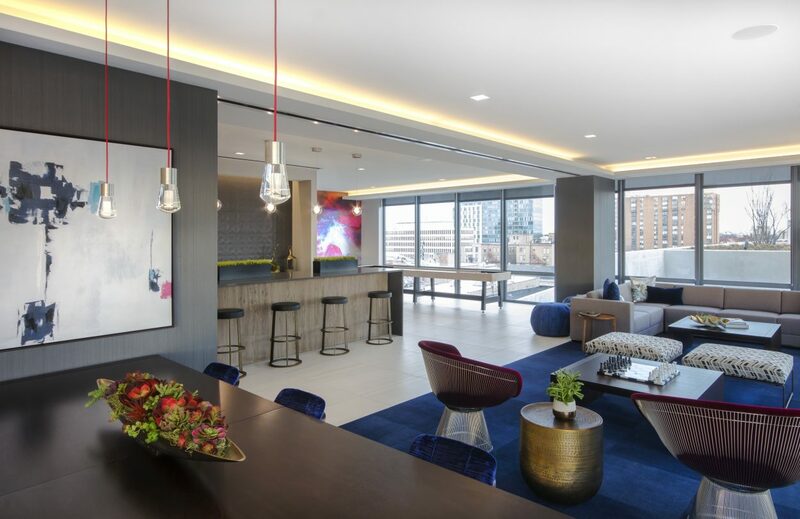 The luxurious residential component delivers one- and two-bedroom apartments and features competitive suite of amenities including a club room, fitness center, and secured bike storage as well as office space for on-site management.